José Ángel García Landa. Reading 'The Monster': The Interpretation of Authorial Intention in the Criticism of Narrative Fiction. (MA dissertation, Brown U, 1989). Ann Arbor: UMI, 1997. José Ángel García Landa. Samuel Beckett y la narración reflexiva. (Humanidades, 19). Zaragoza: Prensas Universitarias de Zaragoza, 1992. (AEDEAN prize "Enrique García Díez" 1992). José Ángel García Landa. "'Till Nohow On': The Later Metafiction of Samuel Beckett." 1991. In British Postmodern Fiction. Ed. Theo D'haen and Hans Bertens. (Postmodern Studies, 7). Amsterdam: Rodopi, 1993. 63-76. José Angel García Landa. "Gender, I-deology and Addictive Representation: The Film of Familiarity." In Chantal Cornut-Gentille D'Arcy & José Angel García Landa, eds. Gender, I-deology: Essays on Theory, Fiction and Film. (Postmodern Studies, 16). Amsterdam: Rodopi, 1996. 1-54. Susana Onega & José Ángel García Landa, eds. Narratology. (Longman Critical Readers). Harlow: Addison Wesley Longman, 1996. José Ángel García Landa. "An Apocalypse of Total Communication: Utopian and Dystopian Perspectives in Star Maker (1937) and The Matrix (1999)." In Memory, Imagination and Desire in Contemporary Anglo-American Literature and Film. Ed. Constanza del Río-Álvaro and Luis Miguel García-Mainar. (Anglistische Forschungen, 337). Heidelberg: Winter, 2004. 253-68. José Ángel García Landa. "Overhearing Narrative." In The Dynamics of Narrative Form: Studies in Anglo-American Narratology. Ed. John Pier. (Narratologia: Contributions to Narrative Theory / Beiträge zur Erzähltheorie, 4). Berlin and New York: Walter de Gruyter, 2004. 191-214. José Ángel García Landa. "The Poetics of Subliminal Awareness: Re-reading Intention and Narrative Structure in Nabokov's 'Christmas Story'." European Journal of English Studies 8.1 (2004): 27-48. José Ángel García Landa. A Bibliography of Literary Theory, Criticism and Philology. 10th ed (2005) at the Oxford Text Archive. Oxford: Oxford University Arts and Humanities Data Service, 2005. José Ángel García Landa. "Adaptation, Appropriation, Retroaction: Symbolic Interaction with Henry V." In Books in Motion: Adaptation, Intertextuality, Authorship. Ed. Mireia Aragay. (Contemporary Cinema, 2). Amsterdam and New York: Rodopi, 2005. 181-99. José Ángel García Landa. "Rereading(,) Narrative(,) Identity(,) and Interaction." In Interculturalism: Between Identity and Diversity. Ed. Beatriz Penas Ibáñez and Mª Carmen López Sáenz. Bern: Peter Lang, 2006. 207-26. José Ángel García Landa. "Literature in Internet." In The Texture of Internet: Netlinguistics in Progress. Ed. Santiago Posteguillo, María José Esteve and M. Lluïsa Gea-Valor. Newcastle: Cambridge Scholars Publishing, 2007. 143-61. 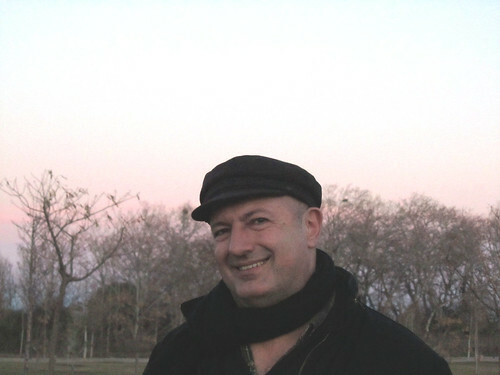 José Ángel García Landa, "Narrating Narrating: Twisting the Twice-Told Tale." From John Pier & José Ángel García Landa, eds. Theorizing Narrativity. (Narratologia, 12). Berlin and New York: Walter de Gruyter, 2008. José Ángel García Landa. "Los blogs y la narratividad de la experiencia." En Estudios sobre el texto: Nuevos enfoques y propuestas. Ed. Azucena Penas y Rosario González. (Studien zur romanischen Sprachwissenschaft und interkulturellen Kommunikation, 56 – series ed. Gerd Wotjak). Frankfurt a/M: Peter Lang, 2009. 303-22. José Ángel García Landa. "Acritical Criticism, Critical Criticism: Critical Interaction, Reframing and Topsight." En Con/Texts of Persuasion. Ed. Beatriz Penas et al. Kassel: Edition Reichenberger, 2011. 233-68. José Ángel García Landa. "Atención a la atención (Sociobiología, estética y pragmática de la atención." Analecta Malacitana (AnMal Electrónica) 33 (dic. 2012): 3-27. José Ángel García Landa. "El dividuo social: Roles, marcos interaccionales y (nuevos) medios." En Individuo y espacio público. Ed. Juan Velázquez. Berlín: Logos, 2014. 99-116. José Ángel García Landa. "The Story behind Any Story: Evolution, Historicity, and Narrative Mapping." En Emerging Vectors of Narratology. Ed. Per Krogh Hansen, John Pier, Philippe Roussin y Wolf Schmid. (Narratologia, 57). Berlín y Boston: De Gruyter, 2017. 567-91. Pier, John, & José Angel García Landa, eds. Theorizing Narrativity. (Narratologia, 12). Berlin & New York: Walter de Gruyter, 2008. Tataru, Ludmila, & José Angel García Landa, eds. Syemiosfyera Narratologii / Semiosphere of Narratology: A Dialogue of Languages and Cultures. Balashov: Nikolayev / Balashov Institute, Saratov State University, 2013. Reseña de Children's Literature as Communication: The ChiLPA Project. (Ed. Roger Sell).